The collection consists of 50 years of radio, television and film productions, papers, and photographs documenting the founding and growth of Protestant Radio and Television Center in Atlanta, Georgia. The collection consists of hundreds of hours of footage from Parade of Quartets, a gospel program aired on WJBF-TV in Augusta, Georgia. 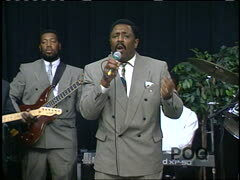 This collection documents decades of regional gospel music performances, religious practices, and political activities, and represents possibly the largest collection of gospel performance footage at any North American library. The collection is a rare example of a sustained African American media presence on a southern television affiliate.